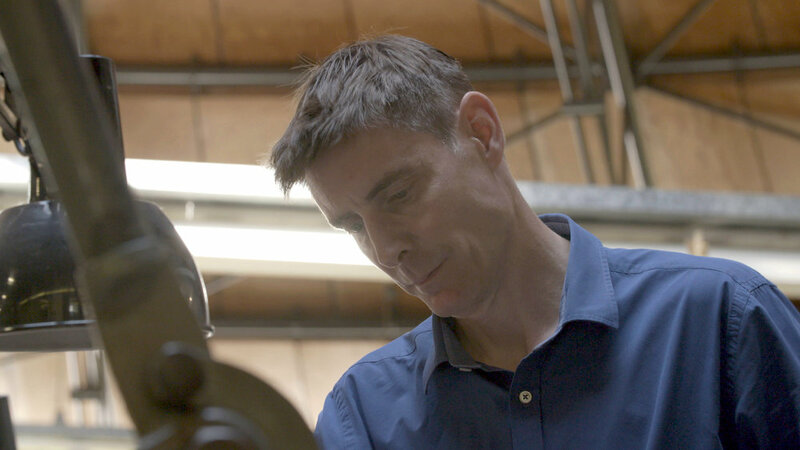 I want to share with you some images from our first Episode of Made In Great Britain - Steel! As well as being the first episode aired, it was also the first episode we filmed. 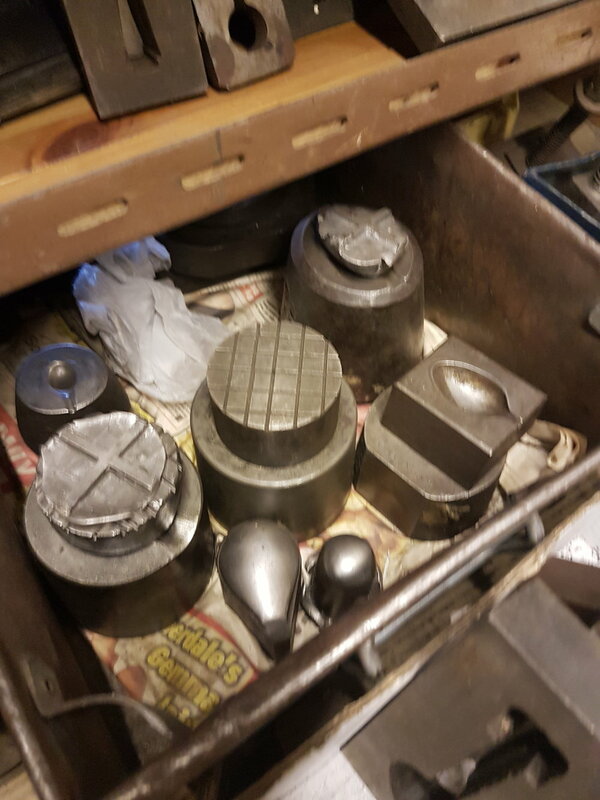 At first it was it was daunting to be thrown in the deep end with molten metal hotter than lava - a far cry from the soft clays I am used to working with! - but it was incredible to find ourselves fully immersed in Sheffield’s history. 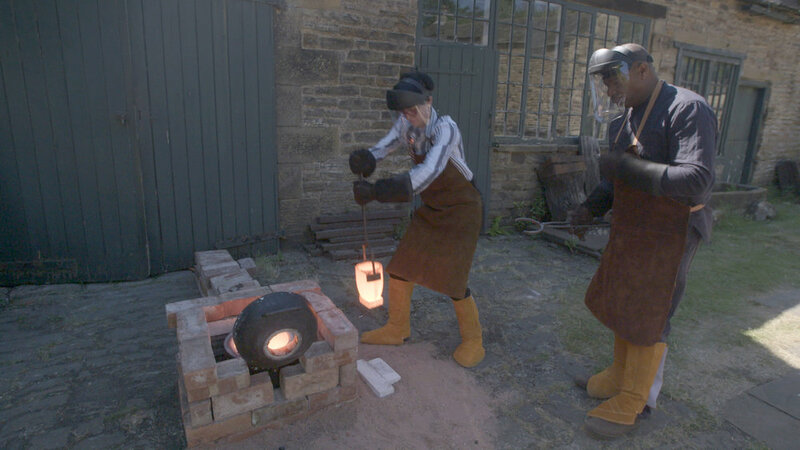 I couldn’t believe we were making crucible steel here at Abbeydale Hamlet for the first time in 100 years! After our agricultural liaison, we head over to Chimo Holdings, the world renowned cutlery manufacturer to encounter the industrial revolution, and meet the original Buffer Girls! I loved hearing all their stories about life on the factory floor. It was tough work, but they are proud to be part of Sheffield Steel - and rightly so. Jumping ahead to the 20th century we visit Portland Works, and discover how women took to the night during WW2, running Sheffield’s steel factories to supply munitions (and commando knives) to the war effort. I couldn’t believe the noise of some of the machinery! We also learn that Stainless Steel was discovered in Sheffield! Our final stop was with the home of our fantastic expert Corin Mellor - David Mellor Design. His factory is stunning, a state of the art contemporary design space, where artisans create beautiful high end stainless steel cutlery. I think we all felt right at home there! 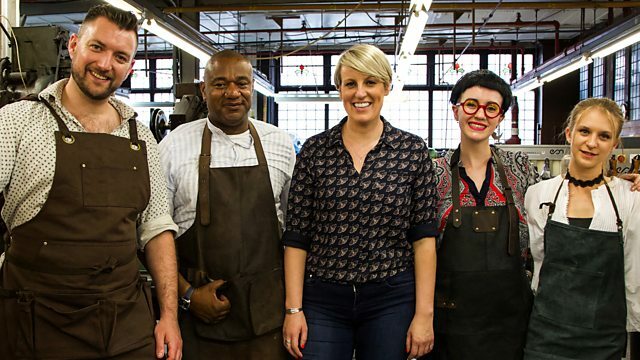 You can join us on our craft history adventure over on BBC iplayer for the next month, where we will be discovering how heritage craft industries such as Hat Making, Pottery and Chocolate, have shaped the UK’s towns and cities. With thanks to our presenter Steph McGovern, and fellow makers Jason Stocks Young, Katie Ventress, and Charlton Nicholl.